He may be small but only in size. He is brave and gentle and wise! Our robot friend will never be long. He will try to right any wrong! No matter who, what, where, when or why. How's that for a blast from the past? Those lyrics still rock! 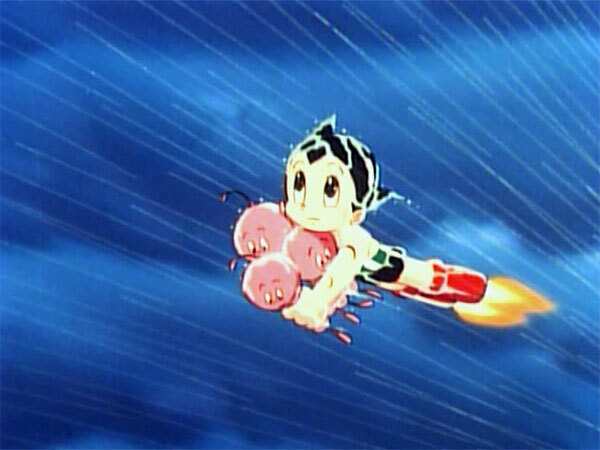 Besides bringing back a plethora of great childhood memories, Astro Boy was quite a revolutionary cartoon for its time that not only told great stories but was a brilliant social commentary of the future. The problem with Earth in 2030 is that robots (Astro included) were treated as second class citizens and the world was split on whether they should have the same rights as humans and this my friends is where the saga begins. Collecting 25 episodes from the series, the tale of Astro begins with the creation of this robot who was based on the son of a scientist who unfortunately met an untimely death. Unfortunately for Astro, he may look like the son he is suppose to be, however he does not act like he does and eventually ends up in a circus. While in the circus, Dr. Elefun (I was always thought it was Elephant), an Android Advocate rescues him from the nefarious circus master after Astro of course saves the day. Under the wing of Dr. Elefun, he attempts to integrate him with society and on his first day at a human school, he begins to understand the prejudices of the society he lives in. Dr. Elefun carrying on "again"
This first collection of Astro Boy also contains a variety of memorable moments of the boy robot such as the creation of his parents by Dr. Elefun, and Astro Boy's "brother", the golden robot called Atlas who is more of an anti-hero than villain with his "pro" Robot rights. The characters may at times be clichéd but this was easily one of the defining moments of the anime genre. Giant robot battles, intrigue, drama, romance and comedy, the Astro Boy Collection 1 is worth every penny and comes highly recommended by Impulse Gamer. 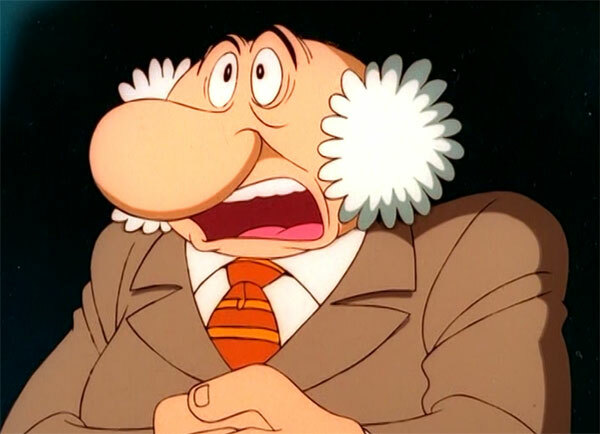 Sure, the animation may be a little dated but considering it's over 25 years old, Astro Boy is a thoroughly impressive series that runs for 650 minutes. 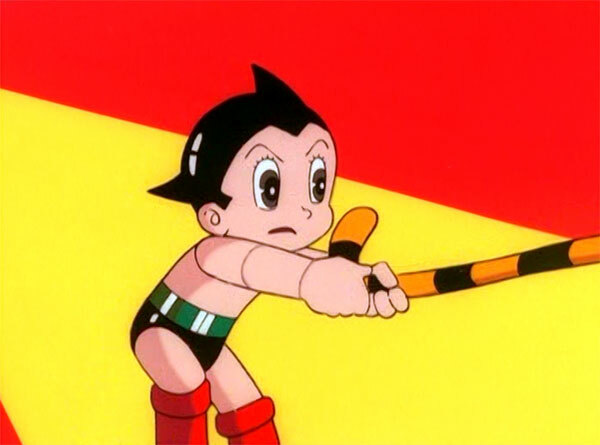 Although this current Astro Boy series is based on the 1960's animated series, this is easily the most defining definition of the world's most loveable boy robot. 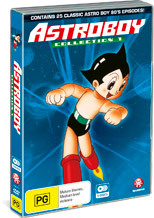 With strange and loveable characters such as Daddy Walrus or sister Uran, Astro Boy truly defined cartoons of its time and interestingly enough, the series is still quite watchable and as impressive since its original airing. Astro Saving the day... yet again! Besides... it doesn't get any cooler than shooting lasers from your arse! A song of happiness for you and me. We can all be heros, you and me. Strong as steel and with a heart of gold. And it's raining out with love for all.